Let’s pick up where we left off shall we… When I wrote my travel diaries last I was settling in to a motel for the night in the little Californian town of San Louis Obispo and you’ll be glad to know I survived the night, which did not live up to my horror film expectations. That morning the other San Diego interns and I left early to make our way down to San Francisco and eventually to San Carlos for a Saltire Foundation alumni barbecue that evening. As we said goodbye to San Louis Obispo we saw our first ever American frat house and it looked exactly like the movies (think Bad Neighbours). Hand painted Greek letters decorated a bench outside and we can only imagine what the inside was like! After stopping for an all American breakfast of waffles and bacon in the picturesque town of Cambria we continued our drive up California’s scenic Highway One route to San Francisco, which though tiring was absolutely breathtaking and if you ever get the chance I’d definitely recommend you go check it out. The road is famous for it’s stunning coastal views and each bend offered something new to marvel at from deep blue waters to wild zebras! Arriving in San Francisco was bittersweet. We’d driven all that way, yet we had no time to explore the city itself before rushing off for a barbecue in the nearby suburb of San Carlos. The barbecue was hosted in a beautiful home and I wish I’d have been brave enough to take pictures because my description wouldn’t give the house nearly the justice it deserves. I say house, but in actuality it resembled more of a mansion with it’s endless amount of rooms and plush furnishings. Aside from giving us all something exciting to ogle at the barbecue was also an excellent networking event. I had a really interesting conversation with someone from Groupon HQ (I’m a huge Groupon fan) and met some of the other Saltire interns that were working/living the dream in California. As our road trip drew to a close the next evening we were completely and utterly exhausted – it’s worth mentioning road trips are nowhere near as glamorous as the films. They fail to mention the numbness that comes with sitting in a car for hours on end and the dreaded trip to the service station restroom. What they do get right however, is the idea of bringing people together and as my journey continues I am positive I will get the opportunity to expand my networks and friendship circles even further. And as far as feelings go towards that part… I can’t wait. What about you guys? 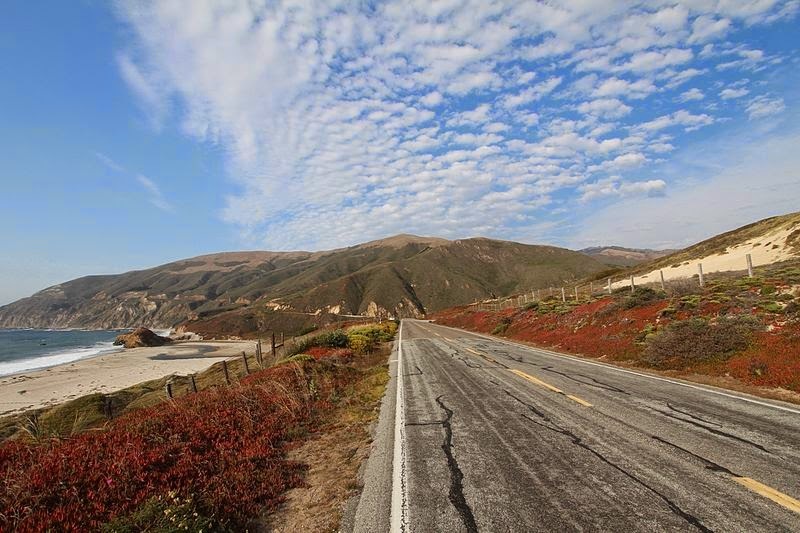 Have you been on any road trips recently? Any tips for keeping amused during the drive? Let me know! Psst – keep your eye out on the blog for my Mexico antics!